Strong opioids (sometimes called opiates) are medicines used to treat severe pain. Tramadol is a type of strong opioid. It works on your nervous system and brain to reduce the way you feel pain. There are many different forms, strengths and brands of tramadol. Some forms and brands of tramadol start working quickly to ease pain. Others release the tramadol they contain more slowly over several hours to provide a constant and more-even pain control - these are called 'modified-release' and often have 'XL', 'SR' or '24hr' after their brand name. How do I take fast-acting tramadol? Tramadol capsules, soluble tablets, oral drops and orodispersible tablets start to work quickly and their effects wear off after a few hours. Fast-acting forms such as these may be prescribed to take only when needed to relieve pain, or on a regular basis, depending on the cause of your pain. The usual dose for a healthy adult is 50mg to 100mg every four to six hours, up to a maximum of 400mg in 24 hours, but always follow the instructions given by your doctor. Tramadol soluble tablets should be dissolved in at least 50ml water before taking. Tramadol orodispersible tablets should be sucked and then swallowed. Alternatively they can be dispersed in half a glass of water before taking. How do I take slow-release tramadol? Tramadol modified-release capsules and modified-release tablets are designed to release tramadol slowly and continuously over 12 or 24 hours as the medicine passes through the gut. This provides steady blood levels of the medicine over the day and prolonged pain relief. 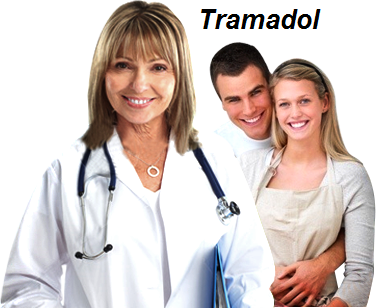 These forms of tramadol are taken on a regular basis to control ongoing pain. You may be given a 12-hourly or 24-hourly formulation and it's important to know which you have been prescribed. Brands that should be taken twice a day at 12 hour intervals (eg 8am and 8pm) include: Invodol SR, Mabron, Maneo, Marol, Maxitram SR, Oldaram, Tilodol SR, Tramquel SR, Tramulief SR, Zamadol SR, Zeridame SR and Zydol SR.
Brands that should be taken once a day at the same time each day (every 24 hours) include: Tradorec XL, Zamadol 24hr and Zydol XL. ⚠️ Tramadol modified-release capsules and tablets must be swallowed whole. Do not break, crush or chew them, as this will cause the whole dose to be rapidly absorbed into your body, which could result in an overdose. Talk to your doctor if you have trouble swallowing, because some brands of modified-release capsules can be opened so you can swallow just the contents without chewing. Check the leaflet provided with your capsules to see if this is the case. How long should I take tramadol for? Keep taking tramadol for as long as your doctor tells you to. If you've been taking it for long periods of time you shouldn't stop taking it suddenly - your dose should be reduced gradually. Always follow your doctor's instructions. What should I do if I miss a tramadol dose? This depends on the form of tramadol you're taking and how late you are taking the dose. Read the leaflet provided with your medicine to find out what to do, or call your doctor or pharmacist for advice. Never take a double dose of tramadol to make up for a missed dose. What if I take too much tramadol? If you accidentally take more than your prescribed tramadol dose, or if someone has taken a tramadol overdose, you should contact your doctor immediately, or go to the accident and emergency department of your nearest hospital. Take the container with you, even if it's empty.